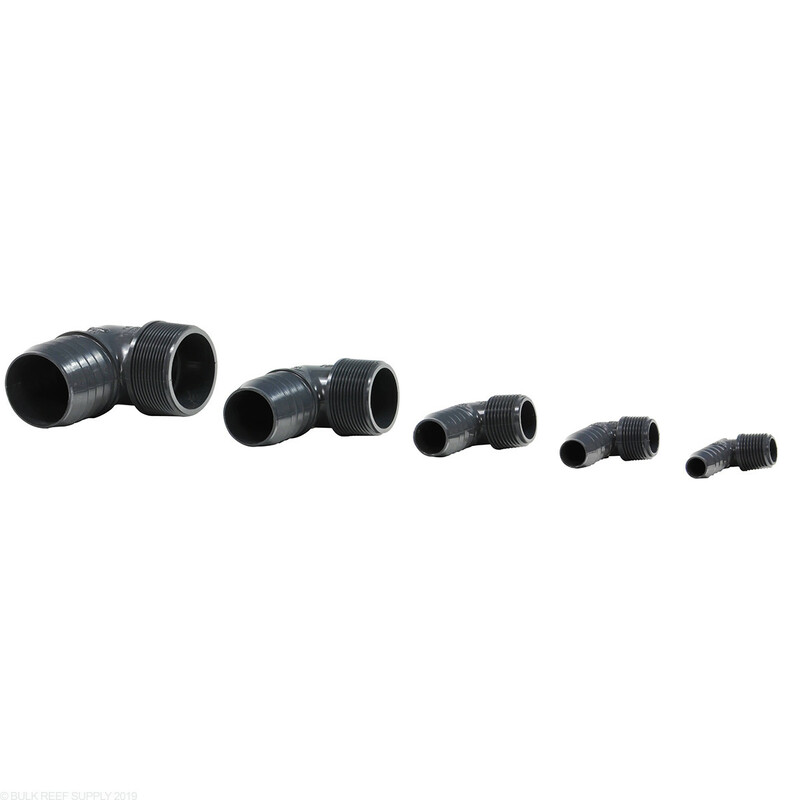 PVC Insert Fittings for your plumbing needs. Use Schedule 80 90° Elbow Barb x Male Thread Fitting where turns are needed. More professional look than white Schedule 40 PVC. Item arrived as described very quickly as usual. The elbow fit my need perfectly. I was using it to thread into a bulkhead to get supply water from an overflow to a sump on a 20 gallon long setup. I used this elbow with the 3/4" abs bulkhead. They fit together great. Just don't forget the Teflon tape. works great for my return with my threaded bulkhead. 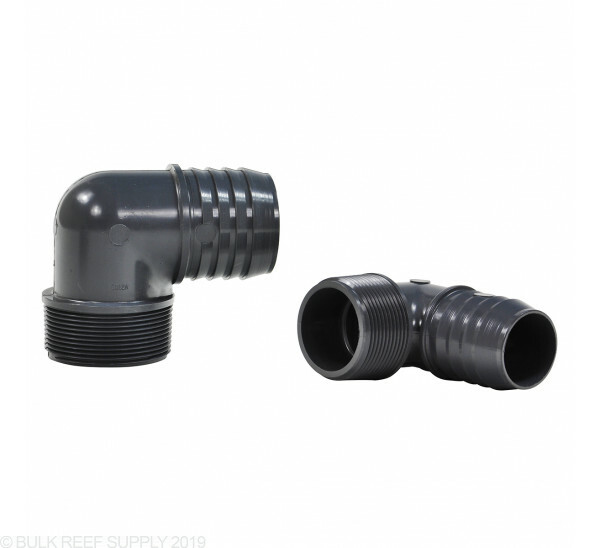 All of our threaded PVC fittings will work with our threaded bulkheads, just be sure to screw them into the bulkhead carefully as the threads on the fittings are tapered and WILL crack the ABS bulkheads if over tightened.